A breathtaking topiary — always the stunning showpiece of an exquisitely arranged garden — is the inspiration for this beautifully crafted place card holder. 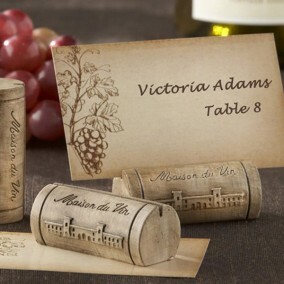 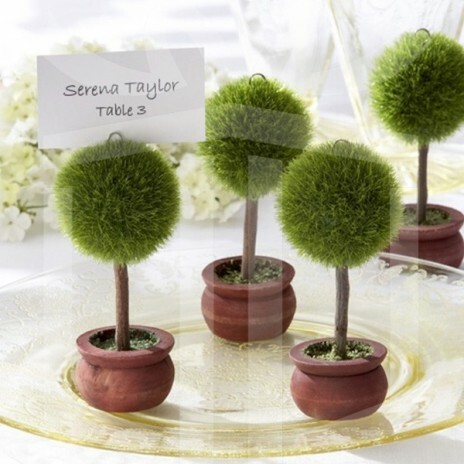 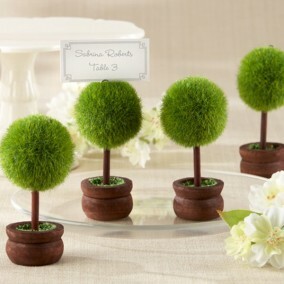 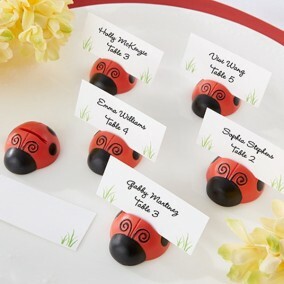 The topiary photo holder / place card holder will bring the same engaging charm to your wedding reception tables. 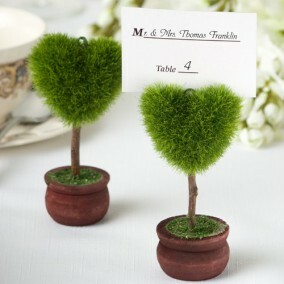 Every topiary can hold a cherished photo of the happy couple or a place card. 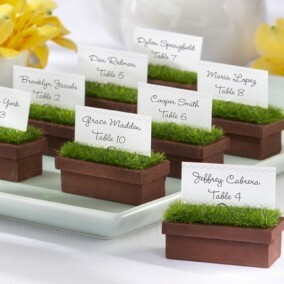 Caution: no table cards are included! 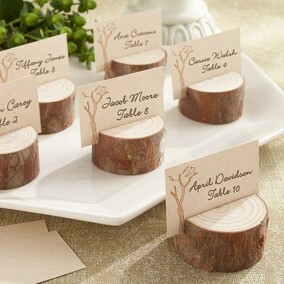 Due to the natural components in this product, expect natural variations in color and thickness of the trunks.